Troy Deeney (£7.0m) was awarded the maximum Fantasy Premier League bonus points in a 2-2 stalemate at Vicarage Road, earning a score of 34 in the Bonus Points System. The Watford captain turned in an all-round performance against AFC Bournemouth, providing his side’s opener in addition to making five clearances, blocks and interceptions and a successful tackle. Team-mate Jose Holebas (£4.5m) and Cherries striker Callum Wilson (£6.4m) both picked up two bonus points, scoring 29 apiece in the BPS. Wilson notched the visitors' opener and also chipped in with two successful tackles and a pair of recoveries. Holebas supplied the assist for Isaac Success' (£5.8m) second-half strike and completed 81% of his 43 passes. The Greek international also produced 11 clearances, blocks and interceptions (CBI) and five recoveries. 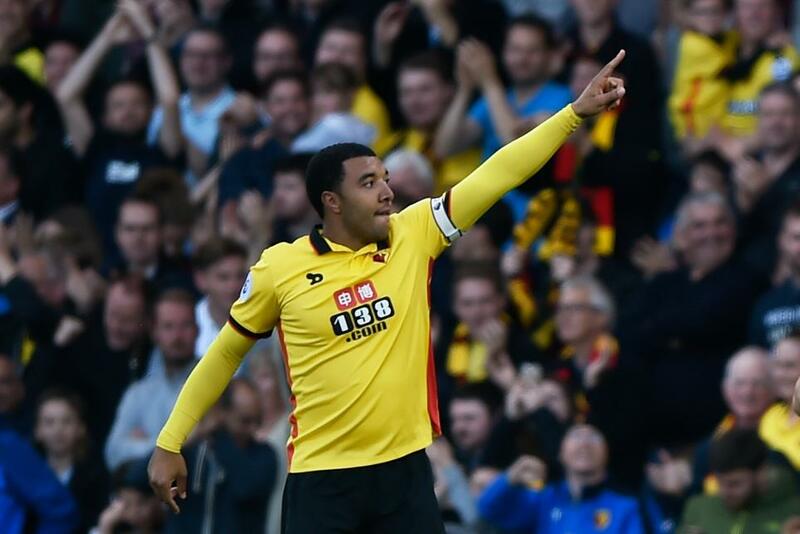 Deeney was also ranked top in the ICT Index at Vicarage Road, scoring 15.2. He registered 17 touches inside the visitors' penalty box, producing four attempts and a pair of key passes. Deeney has now netted in three of the last four Gameweeks. Nordin Amrabat (£5.0m) was placed second in the ICT Index. Stationed on the right of a front three, he created four scoring chances for his team-mates and fired two attempts, both on target. He also made more successful passes in the final third (14) than any team-mate. Wilson ranked next, thanks to his goal and three attempts from inside the Hornets’ box. Having operated with a 3-5-2 system in the first six Gameweeks, Walter Mazzarri opted to freshen up his tactics against the Cherries. The Watford manager rolled out a 4-3-3, with Odion Ighalo (£7.3m) moved onto the left, allowing Deeney to continue as a central striker. The change in formation proved detrimental to the popular Etienne Capoue (£5.2m). Owned by 42% of Fantasy Premier League managers, he failed to produce any of his side's 17 attempts and registered an ICT Index score of 0.6, his worst of the season. Previously utilised as a wing-back, Holebas prospered despite a change of position. Shifted to left-back, he chalked up his highest ICT Index score (7.2) of the campaign, though would-be investors should be aware he remains one booking shy of a single-match ban. AFC Bournemouth boast a handful of in-form options as they prepare for kind match-ups with Hull City, Middlesbrough, Sunderland and Stoke City in the next five Gameweeks. Both Wilson and Josh King (£5.4m) - who emerged from the bench after recovering from injury - have now netted in two of their respective last four Premier League appearances. After bagging the winner against Everton in the previous Gameweek, Junior Stanislas (£5.5m) was in the points again. Stationed on the right of Eddie Howe's 4-2-3-1, the winger supplied the assist for Wilson’s first-half opener.